Performing Arts BC Provincials was held in Fort St. John, on May 31st to June 4th. There were 3 sections of performance art competitions: music, speech, and dance. This was an auspicious year as Surrey Festival of Dance celebrating its 50th anniversary and in this province wide event the dancers represented themselves and Surrey phenomenally. 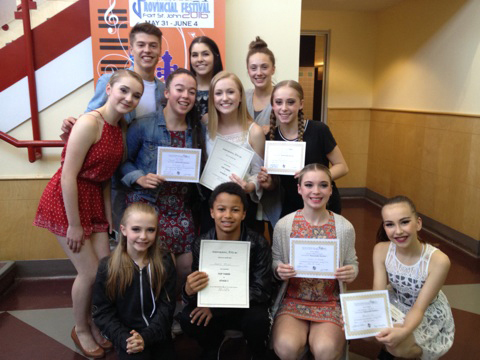 Competing against other festivals from BC, a total of 133 youth dancers, the 10 dancers from Surrey Festival of Dance brought home 7 awards, three 1st places and four Honourable Mentions. Dance was separated into three categories: ballet, modern, and stage, all of which Surrey Festival of Dance competed in, and seven out of our ten dancers were recognized. 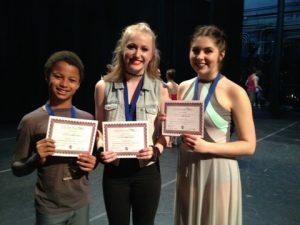 While winning awards in ballet, the dancers dominated the Stage category, winning both first place and honourable mentions. I am very proud of these young dancers, for performing so well and representing the city of Surrey so admirably.